Xarxa Audiovisual Local is a public multimedia corporation created by the Regional Council of Barcelona to support the Catalonian audiovisual sector. It works directly with a great number of regional and local media companies (TVs, radios and online), to whom it provides a variety of informative, sports, divulgative and entertainment contents. It’s a public organism launched by the Barcelona Council. 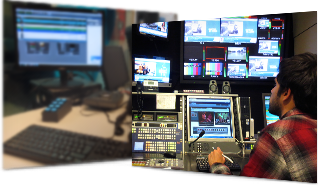 Xarxa Audiovisual Local needed a solution to unify its radio and TV newsrooms in a single, multipurpose space, with all the shared resources available, and to boost collaborative workflows between all the different media outlets: radio, TV and digital media. VSN was the winner of the public tender launched by Xarxa Audiovisual Local for the supply and installation of a unified newsroom system and the transfer of the technical equipment to its new headquarters. The turnkey project developed by VSN includes a VSNDIRECTOR automated ingest system; a VSNLIVECOM studio playout system, which controls two Rhode Schwarz’s Venice video servers with 4 bidirectional Channels; an EMC’s Isilon 40Tb centralized storage; 25 Adobe Premiere and 10 Final Cut editor workstations; a virtualized VSNSPIDER platform with 4 worker transcoders; and 75 VSNEXPLORER MAM licenses for radio and TV journalists. The multiple integrations required were another important challenge: asset integration between the existing Dalet Radio system and VSNEXPLORER to exchange contents between the TV and the radio newsrooms; MOS integration with Avid iNews text system, as well as with Tedial´s deep storage, both already present at Xarxa Audiovisual Local; integration with XIP, Xarxa Audiovisual Local’s content distribution and contribution platform, based on VSNIPTRANSFER, simplifying the workflow of publishing contents to webplatforms; and, finally, integration with the social networks and YouTube. All of it, thanks to VSN´s open SOA technology and VSNEXPLORER’s BPM module. 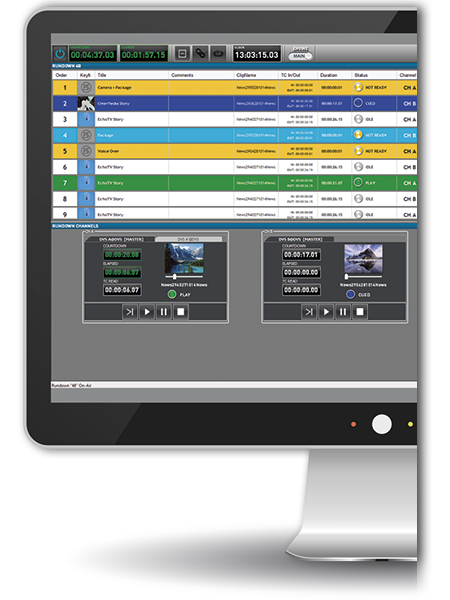 Xavier Cabestany, Chief Technical Officer at Xarxa Audiovisual Local, declares that “VSNEXPLORER has become the center of our whole installation, because it allows us to design a wide range of different workflows in an efficient and totally integrated way. Contents production is dynamic and we can distribute the finished News and Programs materials to our associated local media, to the news Web platforms and to the social networks and YouTube”. VSN`s technology has great advantages that differentiate it from its competitors and that allows for its success in demanding projects such as this one developed for Xarxa Audiovisual Local. Being an open technology, based on standard protocols, it enables integrations with other manufacturers and developers, something that was critical for the client. This flexibility to integrate and expand its features as the needs of the client grow made VSN’s solution the perfect match for Xarxa Audiovisual Local’s needs. Get the full picture with this case study’s complete diagram.